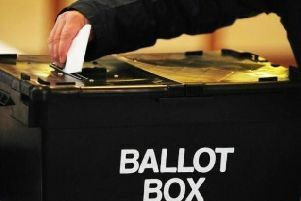 A BY-ELECTION will be held after a councillor resigned. Conservative Elizabeth Hick stood down from her Horbury and South Ossett ward on Wednesday. She had only served on Wakefield Council for a year and was the only Conservative councillor left in the ward following the elections earlier this month. A spokeswoman for the council said that Mrs Hick stood down because of ill health. The council also confirmed a by-election will be held shortly but said a date had not yet been decided. Mrs Hick, who lives in Lupset, was elected to represent the Horbury and South Ossett ward in 2010 after the previous Conservative councillor John Sharp stood down. Conservative group leader Mark Crowther told the Express he was sad see Mrs Hick go. He said: “She has approached everything with a professional, sensitive and caring approach. “She has been a very valued councillor for Horbury and South Ossett, and I’m sure she will be missed. Council elections were held in the ward only two weeks ago. Former Conservative Coun Alyson Ripley lost her seat to Labour candidate Brian Holmes. Coun Graham Jesty was elected in 2008 as a Conservative party member. However, he resigned from the party and changed his allegiance to become an independent councillor earlier this year. During her time in Horbury, Mrs Hick helped to organise the popular St George’s Day parade alongside Alyson Ripley. She also worked alongside Coun Jesty with the Horbury and South Ossett Senior Citizens Action Group.